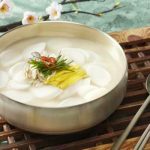 One of the most interesting aspects of the noodle as a food has to do with just how much larger the food’s cultural background is when compared to the physical and tangible nature of the food itself. Different societies that have incorporated the noodle into their culinary tradition have absorbed more than just the noodle’s starchy qualities that make it the perfect base for various sauces and meats, but instead have absorbed the traditions of camaraderie, family, and gathering that have become unavoidably associated with it. 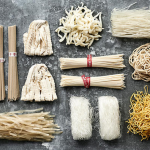 To truly understand what noodles means to the cultures that champion their use and consumption, one need look no further than the twin food giants of Italy and China. 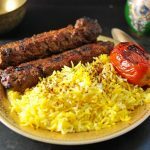 Both these cultures hold storied places in world of international cuisine, having expanded their reach so far as to have an influence in almost every corner of the world when it comes to food. 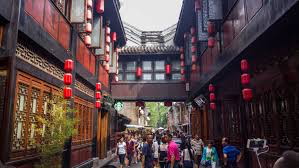 Their influence has been accompanied with the inexorable introduction of the noodle because of the important role that this food plays in both Italian and Chinese cuisine. The International Pasta Organization’s “The Truth about Pasta” waxes lyrical about the virtues and benefits of consuming this type of food, highlighting the way that pasta provides health and energy without placing undue stress on one’s diet or on the Earth’s environmental resources due to unsustainable farming practices. 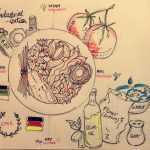 These benefits are responsible for pasta’s position as a pillar of the Mediterranean diet for the longest time, with versions of pasta existing in the Etrusco-Roman diet as far back as 1 AD, as mentioned in Life in Italy’s “History of Pasta”. While this reflects the importance of healthy and robust food in Italian cuisine, pasta also owes its popularity to the cultural significance that has developed with the dish. 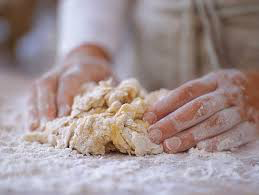 The making of fresh pasta involves processes that require a high level of care and precision, which translates to familial love and care due to the large amount of effort some individuals can contribute to give their family’s the best. Chinese food culture mirrors this belief in many ways, as evidenced by the many meanings and cultural connotations around the idea of bing in David Knechtges analysis of Shu Xi’s “Rhapsody on Pasta”. Chinese cuisine at the time had already accepted pasta and acknowledged that the various types of bing present owed itself to unique origins from various villages and towns across the nation. 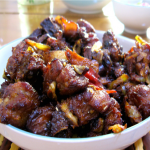 Despite this, bing found itself favoured by all levels of society, holding a unique position as a pillar of Chinese cuisine that was consumed by both villager and emperor. 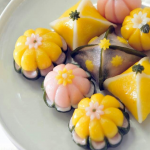 Furthermore, each of these different types of bing are associated with different cultural ceremonies at different types of the year and to celebrate different events, pointing to the ritualistic importance of this food. This cements the cultural significance of the noodle and its variants in Chinese culture, as well as the unavoidable parallels that exist between China and Italy when it comes to the noodle. 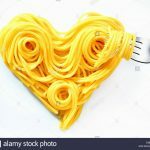 The noodle and pasta have come to play such an integral role because of a combination of the food’s nourishing qualities and its ritualistic contributions to the act of coming together and the formation of a community. 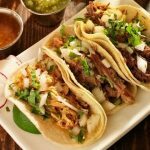 The importance of the noodle in both Chinese and Italian food has meant that any country that has experienced the influence of these cuisines has been exposed to this food. 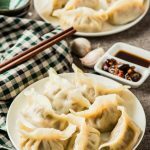 Considering just how far and wide both these cuisines have spread, it is hard to imagine any country’s cuisine and food being unaffected by the noodles hailing from China and Italy. 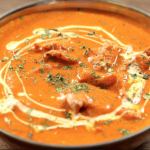 Indian cuisine is no different, having experienced Chinese influences in its dishes due to the two nations’ proximity and having received Italian food due to the process of globalization. 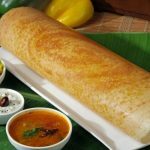 Much like China, due to extremely large geographical area of the country and its varied topography, India possesses varied regional cuisines. 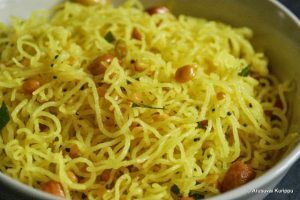 Noodles manifest in a variety of different ways in Indian cuisine, based on the region that it hails from. Oftentimes, these variations revolve around the starch base that the noodles are derived from. 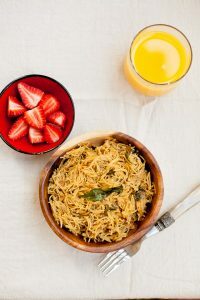 India’s wheat noodles, also known as seviyan, often used in cuisine from the Gujarat region. The noodle is a piece of pasta created from a combination of a starch (such as flour, cornstarch, rice, etc.) 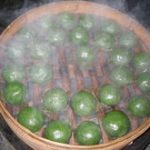 and water, cut into a variety of different shapes, and then prepared using a cooking process that involves a liquid (boiling, stir-frying, steaming, frying, etc.). 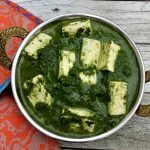 While this definition is a clear expansion on the fairly limited versions that both dictionaries have provided, there is still a significant aspect of Indian, Chinese, and Italian noodle culture that fails to be represented. Our analysis of various texts referring to Chinese and Italian noodle culture emphasize the cultural meanings and connotations that invariably accompany the tangible nature of the food. 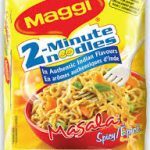 The place that the noodle occupies in Indian culture is the same and is best represented by what virtually every Indian person will point to when asked about Indian noodle culture. The noodle that I am referring to is the Maggi 2-minute noodle that has become an important cultural phenomenon all over India and holds a place as the nation’s favourite comfort food. 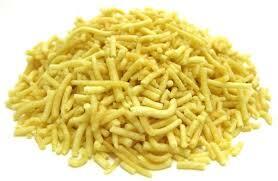 The noodle is a piece of pasta created from a combination of a starch (such as flour, cornstarch, rice, etc.) 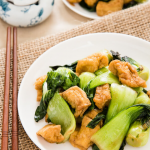 and water, cut into a variety of different shapes, and then prepared using a cooking process that involves a liquid (boiling, stir-frying, steaming, frying, etc. 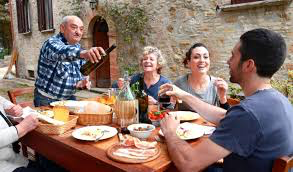 ), whose consumption promotes a sense of camaraderie, connection, and community to a specific culture or identity. The noodles we ate today really reflect one’s regions, culture, cities and people who cooked them. Firstly, for culture and history, the noodles and pastas all originally made from the same material-wheat, but different countries process them differently. For example, Chinese people generally make them as a thin and long noodle. However, for Italian people, they make them into various shapes, including small rings noodles, spaghettis, etc. And as I observed, different shapes of pasta are served with different sauces and in different dishes. 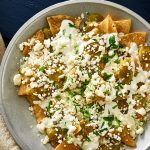 For example, Acini di Pepe, the “peppercorn,” are usually found in soups, while Campanelle, the little bell pastas are generally found in salads. This makes me think why Chinese people generally just have one kind of long, thin noodle, while Italians have so many different kinds of pastas. I guess culture plays an important role behind this difference. Looking through Italian history, we can see that Italy was once occupied by different countries including Germans and France. It did not become one country until 1861. 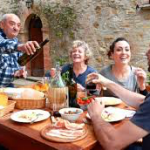 Therefore, Italy has a diversity of foods because of the foreign influences. The diversity can be reflected from the shape of the pasta. Secondly, the noodles really reflect one’s regions and cities. 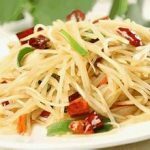 For Chinese noodles, there are a variety of ways of cooking noodles and even different cities have their own way of cooking noodles. 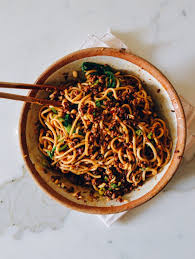 For example, Sichuan province has Dandan Noodles（担担面）, in which a spicy sauce containing preserved vegetables, chili oil, Sichuan pepper, minced pork, and scallions served over noodles. This kind of noodles really reflect the Sichuan’s cooking characteristics, which is spicy. 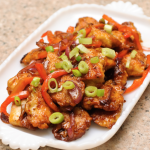 Since Sichuan is situated in the middle of China and is humid at all times, therefore, people combine lots of pepper into their cuisines to drive away the humidity. So Dandan Noodles can reflect a region’s eating and cooking style. Moreover, not only Dandan Noodles can show Sichuan people’s preference for spicy food, the noodles in East China can also represent Jiangnan people’s preference for umami and mild taste. 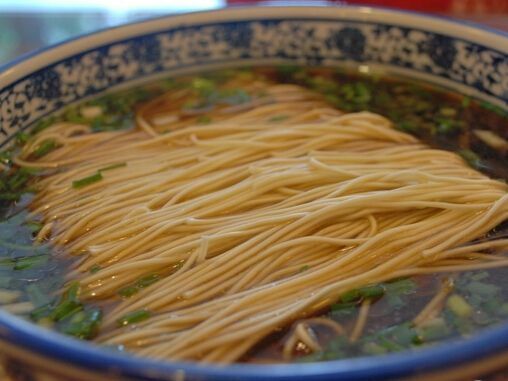 For example, in Shanghai, there is Shanghai noodle in superior soup(上海阳春面)，in which there aren’t much meat and is simply consists of scallions and pig oil. From the ingredients of Shanghai noodle, we can see that in East China, most people don’t eat a lot spicy or really salty food. 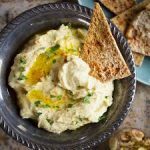 Most commonly, people like to savor the original taste of certain food. So from Dandan noodles and Shanghai noodle in superior soup, we can definitely see the reflection of a region’s taste preference for food. Thirdly, noodles can also reflect the people who cook them. For example, Italians and Chinese people cook noodles in totally different ways. For Italian people, the reading mentions that the discovery of tomato with pasta is a milestone for pasta. Therefore, lots of Italian people cook pasta with tomato sauce and sometimes add some shredded meat into the sauce. However for Chinese people, we like to add beef, vegetables or even seafood into the noodles with clear soup made from water, salt and scallions. So the noodles can reflect who cook them too. I think noodles means a lot to both Chinese and Italian people. The history of noodles in both China and Italy can be traced back to thousands of years before. In China, the noodle itself represents lots of meaning to people. For example, when there is a person’s birthday, he/she will have longevity noodles(长寿面). When people move into a new house, they will have noodles with gravy (打卤面), which means flavored life. On the day of lunar February 2 “dragonhead”, people eat dragon whiskers noodles(龙须面) to look forward to good weather. We eat different noodles in different seasons and different festivals. In Italy, too, people eat different noodles at different occasions. Therefore, noodles became not just noodles, but also a way to give people best wishes and a representation of a country’s culture. 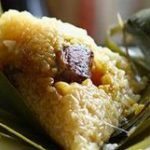 It integrates the regional characteristics of food, the food history of a country and the best wishes to people. Therefore, I want to define noodles as a dough typically made with egg and usually eaten with a sauce or in a soup that comes with a diverse shape and meaning behind them, reflecting a region’s cooking characteristics, culture and eating history. 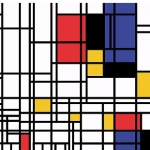 In my opinion, this image can represent noodle’s diversity and cultural background very well. We can see from the picture, noodles can either be eaten with soup or simply mix them with sauce and eat them as cold noodles(冷面). 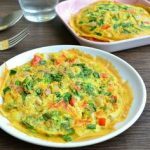 Also, it can be cooked with various ingredients, including pepper, vegetables, meats etc. Thus, noodles can be eaten in many ways depending on where you come from and what ingredients you have. And those different noodles all have different nutritious value behind them as well as different meaning and history. Noodle is a grain-based dough that is divided into a certain shape with a unique refined texture by a certain method. Noodle plays an integral role in every regional food culture worldwide and was woven into people’s life including the Chinese and Italian peoplebecause of its ever-evolving position and meaning in human history. Noodle, which is mostly made out of grain, consist of mainly carbohydrate thus a major energy source for human body throughout history. This is especially true in agrarian societies globally. 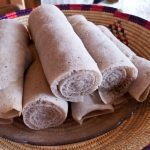 In the old days when food resources were very limited because of low productivity, people relied heavily on carbohydrate, namely noodle or grain. The protagonist of a noodle dish would be the noodle itself rather than meats or vegetables added. Few meats or vegetables would be added or simply none. Noodle completes its mission of filling human’s stomach. Grain is grinded into powders then made into dough and soon noodles with various shapes. I think the reason why is probably to increase texture and its ability to absorb the flavour of the broth and other ingredients. 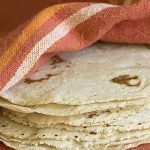 Its unique texture also provide enjoyment to human’s mouth. 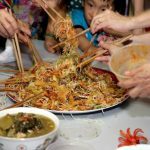 To be specific, some noodle dishes in relatively poor areas in China, such as the north-western region, are comprised of noodle, oils and spices. 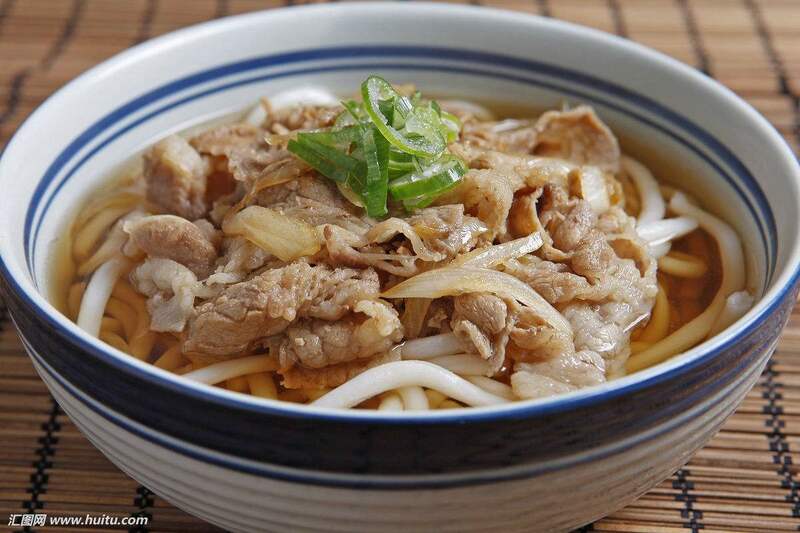 Biang Biang noodles, Youpo noodles and Mianpi in Shanxi province are some great examples. 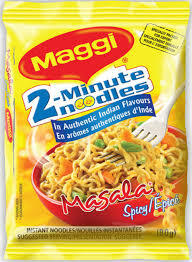 Oils and spices used add flavors to the noodle to help people ingest. 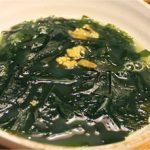 These dishes, which are products of the old days, become representatives of the regional cuisine and are incorporated into people’s diet even for today. Although we have a lot of substitutes for noodle today, we still don’t give up eating the simple combination of noodle and chili oil and a bowl of Yangchun noodles which only have soy sauce and pork oil added to the noodle. 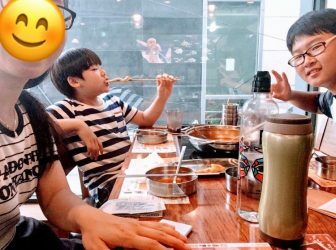 This is because noodle is already deeply embedded in our culture and diet, which becomes a cultural phenomenon rather than just a way of sustaining the human body. The composition of a noodle dish changed when food resources became abundant and people tried to explore substitutes of carbohydrate, such as protein. Noodle was no longer the sole protagonist of a noodle dish. 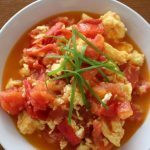 It was more prone to be a duo or trio with oils, spices, sauces and broths added. Now noodle dish becomes a party of tons of ingredients. Eating noodle is no longer an act of ingesting carbohydrate to provide the body with energy. With other ingredients shining on the stage, noodle preserve its space because it provides textures and satiety to your brain. But this is not sufficient to describe the real meaning of noodle. 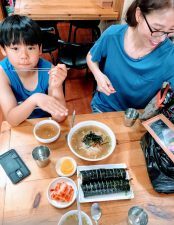 Eating noodle with other food is turned into a cultural act or a habit that is impossible to get rid of. Without noodle, any forms of ingredients combination are meaningless not only because we lose some textures but also the integrity of a culture. 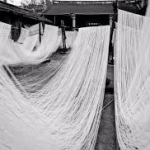 Thus, we could say that noodle is a cultural phenomena with a physical carrier as this idea is also implicitly expressed in the story of Yunnan’s “Crossing the Bridge” noodles. 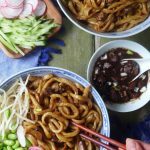 According to Terry Durack, the family cook shows his love for the son of his master by preparing the ingredients of the “Crossing the Bridge” noodles separately so that his loved one could have the noodle dish piping hot, which could help him succeed in the exam. 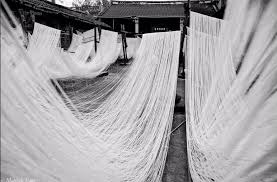 The culture of selfless love between family members in Yunnan, China is powerfully conveyed through the lens of the noodle. The noodle is an integral part of cuisine around the world. 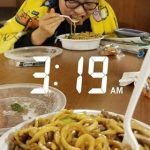 No matter where you are, there is a good chance that you can find a Chinese or Italian restaurant and subsequently have a chance to enjoy some noodles. I remember once when my family visited Alaska on vacation and we spent one night in the small town that was only accessible by boat. Despite this isolation, there was still one Chinese restaurant and one Italian restaurant. This reach of the Chinese and Italian noodles is what makes them such an integral part of their cultures. 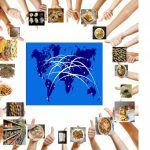 Around the world, those cultures can be defined from one food item, the noodle. 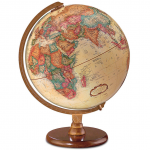 The reason this item is associated so strongly with Chinese and Italian cultures is because of how strongly it is tied into the history of these great cultures. In Chinese culture the noodle can be traced far back to the Han Dynasty when they were originally classified as “cake”, as detailed in the “Noodles Traditionally and Today” article. 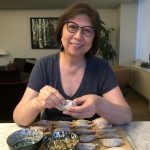 The article goes on to detail how the Wei, Jin, Southern, and Northern dynasties created new noodle shapes from the original called Shui yin and bo tuo styles. The shui yin style for example now looked like, “flat noodles shaped like a leek leaf cooking in a pot with boiling water” (Zhang, 2016). This was just the first of many new variations of the noodle which has led to all the different kinds of noodles that exist today. 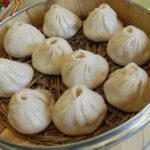 The differences can often be classified by region as the same article details how East China features “Shanghai Noodle in Superior soup”, Southern China features, “Guangzhou Wonton Noodles”, and Central China features “Wuhan hot noodles with sesame paste”. These are just a fraction of the different kinds of noodle that exist within China. Each region has a different environment and thus different resources which illustrates why these noodles are indicative of different regions and the people who cook them. Noodles however reflect more than just regional differences, they also illustrate the cultural background that ties them so tightly into society. 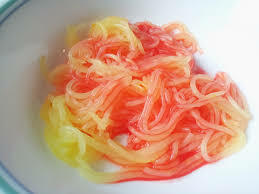 One example are the Quishan minced noodles which have also been called sister-in law noodles and ashamed son noodles. These unorthodox names have a story behind them which carries the value of these noodles. The story goes that there was an orphan scholar who was raised by his brother and sister-in law. She was a great cook and made special noodles which “helped him read for fame”. The orphan was successful and as a result the noodles became famous for prosperity as “sister-in law noodles”. Attempting to mimic this success, parents began cooking these noodles for their kids to encourage the same success, however the same results were not achieved and the noodles took on a second name as, “ashamed son noodles”. These stories and names illustrate how the noodles are reflective of the culture and people who cook them. This is just one of many stories as there are many that cover all sorts of topics including friendship, business, weather, and many more. What they all have in common is that they directly reflect the people and history behind the dish. This reflection of the noodle on region, culture, and people is not unique to China. Italy is another country that is undeniably linked to the dish. Pasta has become such a household item across the world now that it is hard not to find someone who at least knows of a type of pasta. 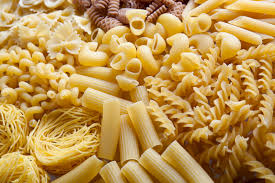 Pasta/ noodles can be dated back to the Etrusco-Roman times where dry pasta was a staple. It was later rediscovered by Marco Polo. Italy is a much smaller country than China but still it has vast regional differences in the dish. The biggest difference is between the north and the south. In the “History of Pasta” article, the author details how Arabic invasions during the middle ages resulted in a heavy Mediterranean influence that is still present to this day. That influence is particularly noticeable in Sicily with ingredients such as cinnamon and raisins. Given its shape as a peninsula, southern Italy has been a strong recipient of various Mediterranean influences from all sides. Meanwhile, in the north the pasta has a very different style. Northern Italy draws from French and German influences which highlights the different resources that are present in the area. These regional differences help to illustrate how pasta reflects on the region and people who cook them. It highlights the rich history of the Italian peninsula and how so many different forces have come together to shape what we know as pasta today. This historical implication is one reason why pasta is so tightly engrained in Italian culture. While pasta can be traced all the way back to the Etrusco-Roman times, one reason that allowed it to become popular all over the world was the age of exploration. The “History of Pasta” article detailed how the high nutritious value and ability to stay good for so long made it the perfect dish for voyagers on long journeys. This dry pasta made its way around the world through these voyagers and helped spread the dish to its high level. Another type of pasta, fresh pasta, soon made its debut and brought a whole new type of noodle to the table. With the introduction of the fresh pasta with sauces, the need for new noodles to hold onto these sauces became apparent. This need was met by all sorts of new noodle shapes featuring ridges, twists, and ribbons to hold the new flavors. 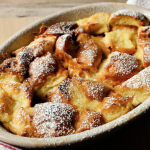 In northern Italy, these dishes were typically prepared using eggs and flour while in southern Italy semolina and water were used. Despite these differences the best tasting pasta came from regions that used “fresh local ingredients”. This is what keeps pasta relevant in Italian culture today. 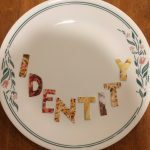 In the modern age of mass-produced pasta dishes, it is sometimes difficult to find dishes that reflect the true history behind the dish, with painstaking effort and precision applied to it. 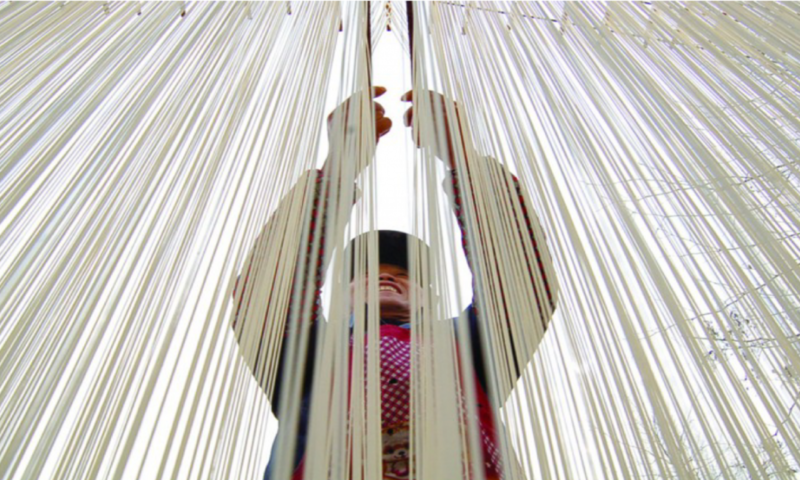 This is Italian culture and how the noodle reflects on the people who make it. Overall through this process I have learned about many different types of noodle and pasta dishes and more importantly the reasoning behind the variations. All these differences make it very difficult to narrow down just one definition of noodles but one that I feel does a good job encompassing all facets of the noodle would be: a food item primarily made of a flour that is used to draw together flavors from around the world so that whatever resources are available can be enjoyed together. 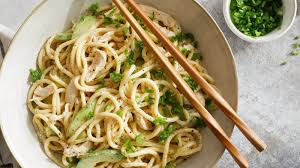 I could definitely go on and add more sentences to cover more aspects of the noodle, but I feel that this definition does a good job of expanding beyond the clinical and technical aspect and really embracing this dish as one that brings together flavors and people from all over the world to encourage unity among all. 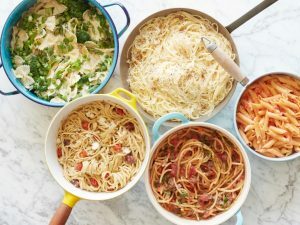 I chose the picture below because I feel that it really illustrates the different types of pasta while showing that they can bring together so many different types of flavors to make the dish unique to the person who is making it. 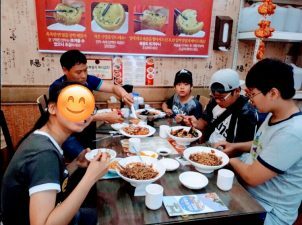 Eating is a social activity and noodles are a social tool that allow people to share dishes and flavors that are unique to them to encourage a more wholesome and holistic view of global cuisine.